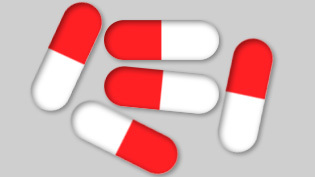 Can I stop taking antibiotics as soon as I feel better? You have been taking antibiotics for a sore throat, but after two days you feel better – except that the tablets make you feel sick. So must you keep taking them? Traditional wisdom is that failing to finish the course allows some bacteria to survive. These will be the hardier ones that can resist the same antibiotic should they meet it again. So for your own good, and that of antibiotic resistance worldwide, you should keep taking the tablets. But last week, in an article in the Medical Journal of Australia, Professor Gwendolyn Gilbert of the University of Sydney wrote: “There is a common misconception that resistance will emerge if a prescribed antibiotic course is not completed.” She argued that there was minimal risk in stopping antibiotics if the signs and symptoms of a mild infection had resolved. Professor Chris Del Mar, professor of public health at Bond University in Queensland, agreed, saying that, for most acute chest and urine infections, GPs should tell patients to stop taking the tablets once they feel better. Only for some conditions, such as tuberculosis or osteomyelitis, and other deep-seated infections where symptoms could improve even though the bacteria might still be flourishing, should patients continue taking antibiotics until they have finished the course or their doctor tells them otherwise. People who have problems with their immune system should also stick to the doctor’s advice.